It takes a finessed approach to narrate to and essentially teach health care professionals. 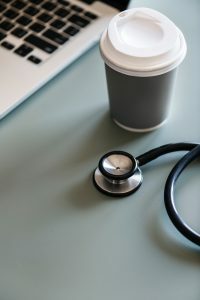 As a voice over actor with over twenty years of experience in medical eLearning-voice-over I’ve worked on projects targeted to the general public and medical professionals alike. Although I have no formal medical background, I have found the key is to sound like I do. 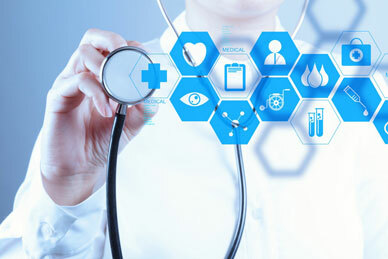 Medical eLearning generally informs learners about latest techniques and important breakthroughs, clinical results and indications regarding medicine, nutrition, pharma and anything related. Projects for voice over artists vary widely, so using a single universal approach for health or medical eLearning is not the best idea. For instance, the professor of an online course for university student nutritionists I recently did wanted me to use a conversational, colloquial tone for her biology course. A series of medical training modules I narrated earlier in the year was essentially a how-to manual for a highly complex and technical radiation machine. It required something more informative and mature that could still engage throughout some fiercely dense material. Like form follows function, narration tone follows content. The same goes for the target audience, or the intended listener. Health eLearning is for everyone. In schools, children learn about hygiene, nutrition and hand washing and often, especially with larger class sizes, teachers supplement learning with interactive eLearning software. Voice over scripts for these projects may not use of heavy vocabulary, but vocal delivery still requires a balance between educating and engaging today’s youth. A voice actor works to genuinely understand and connect with the script before recording anything. This may require research and questions. Understanding why the lessons are important helps them care about the material and form an emotional connection. Which is important, because as Dr Immordino-Yang in her book Emotions, Learning and the Brain says, “It is neurobiologically impossible to think deeply about things you don’t care about.” This has led some content production companies to assume hiring the subject matter expert will make their elearning project sound great. After all, most MEs are passionate about their subjects. The difference between a SME and a voiceover actor is that as the professional voice artist connects and understands the material, their training kicks in. They then find actual passion within themselves about the content to transmit to the listener. One of my regular life sciences clients paid me a great compliment recently. I happened to be doing some research for a blog and asked what was most important to her in an eLearning narrator reading material in the health sciences. To which she replied, “A medical background, like you have, Kim.” While I do have a graduate diploma in science, my undergrad is in communications with a minor in theatre. But I have a toolkit of important qualities that help my clients feel comfortable depending on me, their voice over talent, to speak science and medicine fluently. As well as journalist and theatrical training which I continue to hone annually, I have a keen, and I mean razor sharp interest in the life sciences. Combine that with a vigilant awareness of pronunciation, a Grey’s Anatomy vocabulary, and a deep empathy with both those trying to inform and those who receive the information. These elements help me not only speak like an expert with medical background, they help me present the material in a winning way. It has also helped to have grown up with several doctors, nurses, pharmacists and researchers in the family. As an eLearning voiceover coach , I tell my students only approach medical eLearning if they either have some background in it or a keen interest in the subject matter. If they’re new to the genre, they must take time with their scripts. Practice until those complex words roll off the tongue as easily as your own name. And think about both the listener and the company or institution who hired them and put the program together. The voiceover is the conduit, the bridge if you will, between sender and receiver for their message. All involved depend on the narrator to make certain that info gets where it needs to go. What has your experience been in reading medical scripts or hiring medical narrators? Great Article, Kim. I think the empathy towards the people receiving the information is what I’d like to work on more. Thank you! This is awesome Kim! Thanks! Thank you for stopping by Susan! As always this is a very enlightening and spot on article Kim. Thanks, and I look forward to many more! !